The goal of the IIDA NE Student Affairs committee is to make a lasting impact on the career trajectory of current interior design students and recent graduates. Our committee strives to share what we wish someone had shared with us when we were still in school – advice and perspective on early career opportunities and decision points. 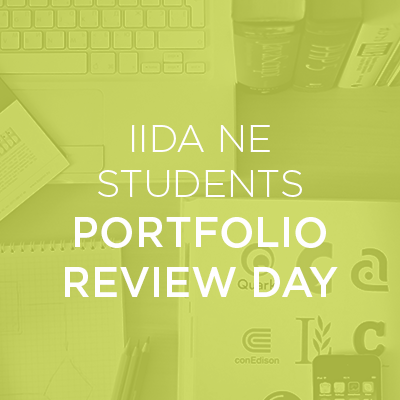 Through programs such as Career Day, Portfolio Day, and the Mentorship Program, our committee aims to give students perspective on early career choices and networking opportunities afforded through involvement with IIDA NE. Portfolio Day - IIDA NE Student Portfolio Day has been inspiring design students across the New England area and connecting them with industry professionals for the past 10 years. Each spring, a group of 24 college students have the opportunity to present their portfolios and practice interview skills with senior level professionals throughout the New England design community. 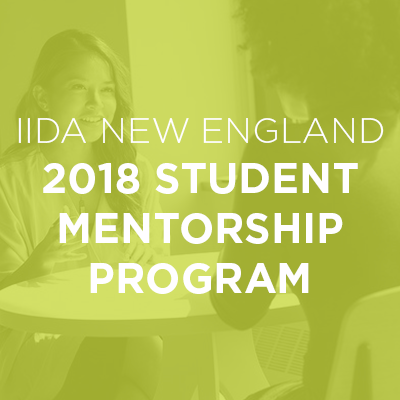 Mentorship Program - The overall goal of this program is to facilitate connections between IIDA NE Professional and Student Members with a focus on the professional development of the student member. Particularly self-motivated students from local Interior Design colleges have been nominated by their professors to part-take in this program, and will be paired with a mentoring professional for a duration of the 4-month Spring Semester (February–May). For more information on IIDA NE Student events, please contact Teagan Jeffords, Vice President of Student Affairs, at [email protected].